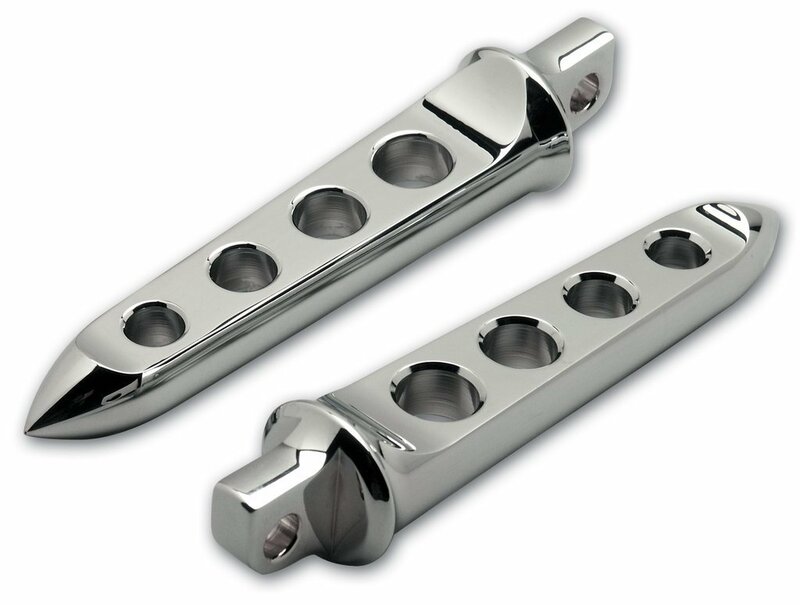 Machined from solid Billet Aluminum and then triple chrome plated. 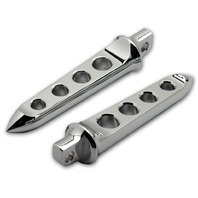 These 6-3/4" Scimitar Foot pegs fit all Harley-Davidson applications that accept male mount foot pegs. Sold in pairs.